As time passes, he teaches himself how to play the strange instrument, and eventually the beautiful sounds are heard by a father and son who are picnicking in the woods. 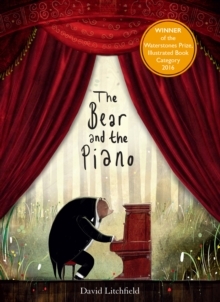 The bear goes with them on an incredible journey to New York, where his piano playing makes him a huge star. He has fame, fortune and all the music in the world, but he misses the friends and family he has left behind.